What is the best way to celebrate the first year of being a responsible adult with a full time job? A well deserved vacation, of course! 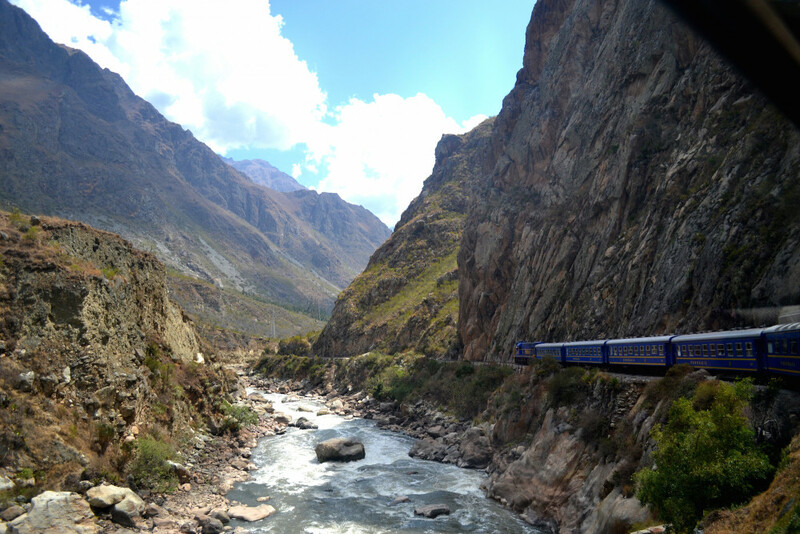 The destination for this year’s backpacking trip was South America - Peru, Bolivia, and only a few hours in Chile. The participants - le boyfriend, le boyfriend’s best friend and our good friend from work. 3 guys, 1 girl, all from Eastern Europe. Great potential for adventures, good parties and way too many stupid jokes. Day 1 - On the road We arrived in Lima saturday morning and we headed straight to Huacachina, a city located a few hours to the south. First impressions: fancy buses, unfinished houses and impressive nature. Day 2 - Birds, penguins and sand-boarding We spent the morning on a boat trip, watching birds, penguins and funny-shaped islands covered by “el guano” (aka bird poop). The afternoon meant sand-boarding, hiking up the dunes in Huacachina and after all that, heading back to Lima. 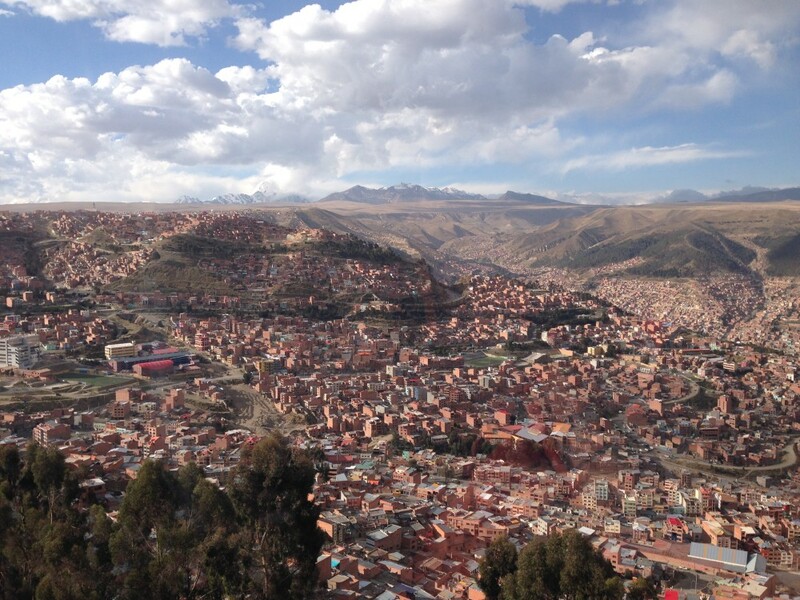 Day 3 - Hello Cuzco, hello altitude sickness! 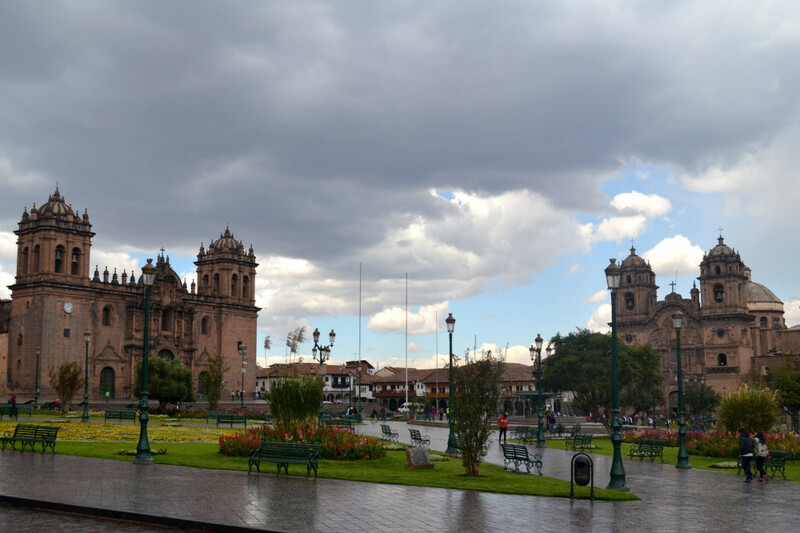 After a failed attempt to get the Bolivian visa in the consulate in Lima, we flew to Cusco. Impressive city, awesome hostel and for me - great headaches as part of the “altitude sickness package”. Day 4 - We like Cuzco After another failed attempt to get the Bolivian visa in Cuzco and then planning the upcoming trip to Machu Picchu, we spent the day discovering Cuzco: nice plazas, majestic churches, great viewpoints and yummy food. Day 5 - On our way to Machu Picchu Waking up at 6AM is no longer a problem, because this time nobody has to go to work, but instead we’re starting the trip to Machu Picchu. Due to time (and weather) limitations, we had to do this trip in the lazy, painfully expensive, touristy way and take the train. It was a day spent mostly on the road, super-excited and looking forward for the next day. 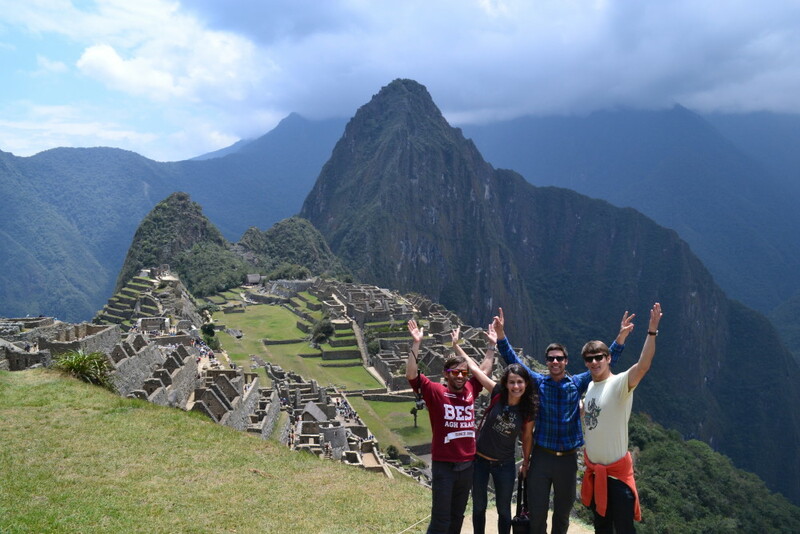 Day 6 - Machu Picchu! Not even waking up before 4AM is longer a problem! Hiking up in the dark and through the rain was totally worth it, because at sunrise we got to Machu Picchu. Everything was just as imagined - impressive ruins, National Geographic/Instagram/Facebook pictures and way too many tourists. Day 7 - Hello Lake Titicaca At the end of a long bus ride, we woke up in the morning in Puno, at the Peruvian shore of Lake Titicaca. 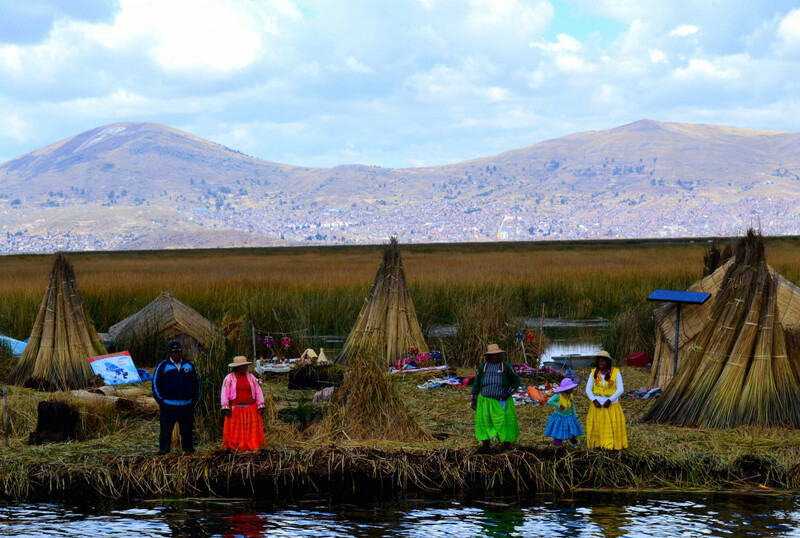 We finally got the Bolivian visas there (third try was the lucky one), and discovered the Uros floating islands. We watched the sunset from the Bolivian shore of the lake, and spend a great evening in Copacabana. I was slowly falling in love with Bolivia. 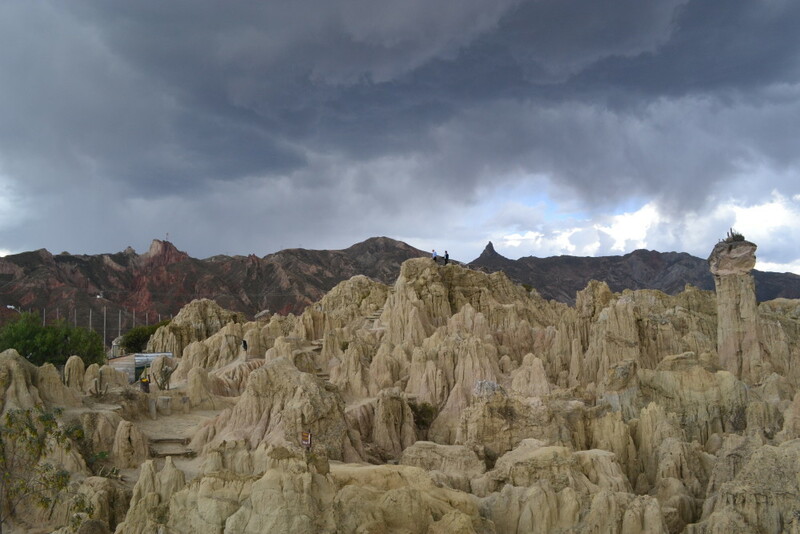 Day 8 - Discovering Bolivia and entering La Paz A “short” morning hike and seeing lake Titicaca from above, one of the most beautiful bus and ferry ride to La Paz, and entering La Paz at sunset - there I was, loving Bolivia more and more. Day 9 - Biking down The Death Road We got the hang of waking up early, this time for a day trip for downhill biking on World’s Most Dangerous Road aka The Death Road. Going down by bikes was fun. and not as scary as expected. Going back up in the minivan - much more scary. 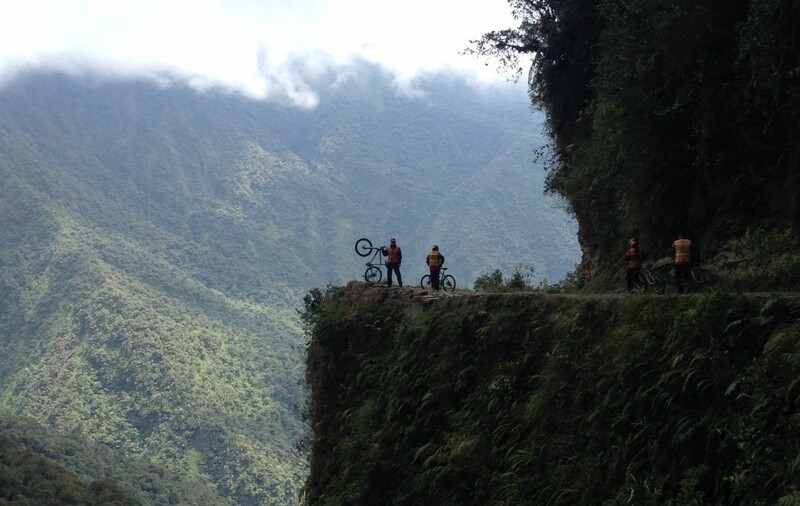 Props to Gravity Bolivia for this awesome and super safe trip. Day 10 - Discovering La Paz Happy that we survived the Death Road, we spent the next day chilling in La Paz and walking around the city. The cable cars that connect the low part of the city with the hills are awesome! Due to a strike, we are stuck in la Paz for another day. Cannot complain too much. Day 11 - Discovering more of La Paz Another day of walking through the city, exploring Valle de la Luna, and finally the strike is over so we can head to Uyuni, for the last days of our trip. Day 12 - Is this reality? 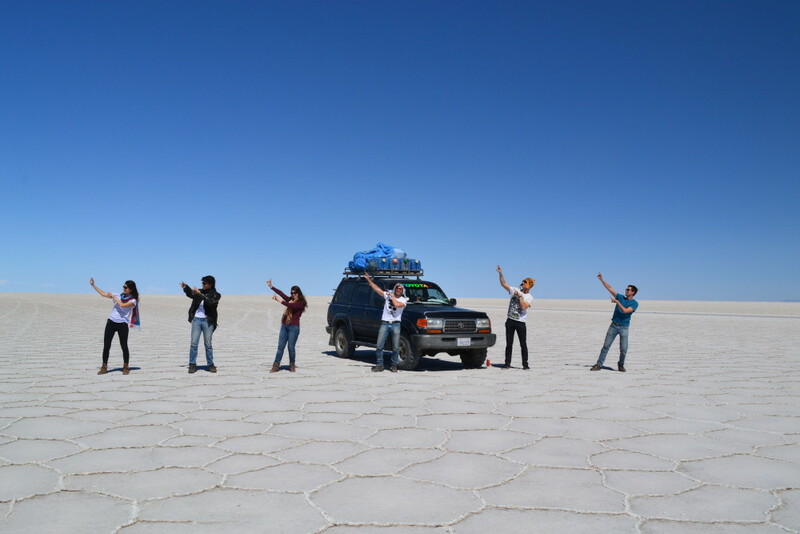 We arrived in Uyuni, a small city, the starting point for what will be the most amazing three days from the trip. We booked the tour from what turned out to be a good agency and made friends with two other backpackers who had the same route - a 3 day tour through paradise, and off we go! Salt flats as far as we could see, cactuses and funny pics. Day 13 - Is this reality? 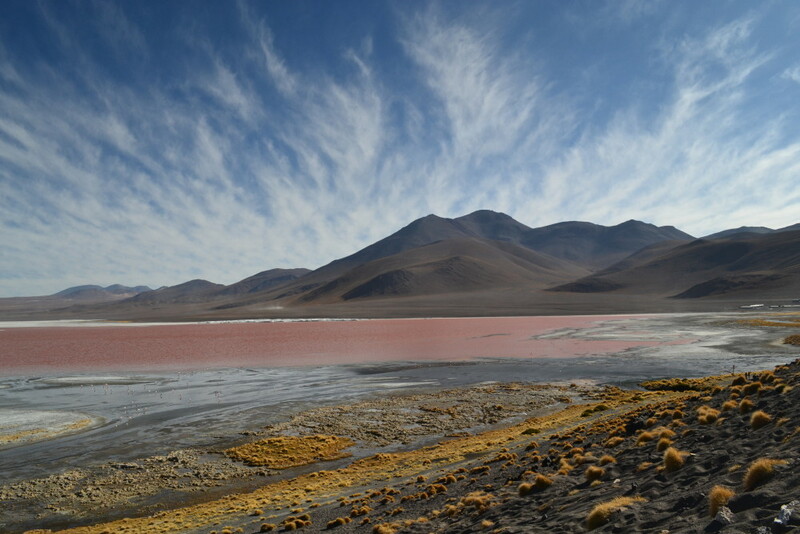 Flamingos, lagoons, desert, volcanoes, rocks. Speechless. 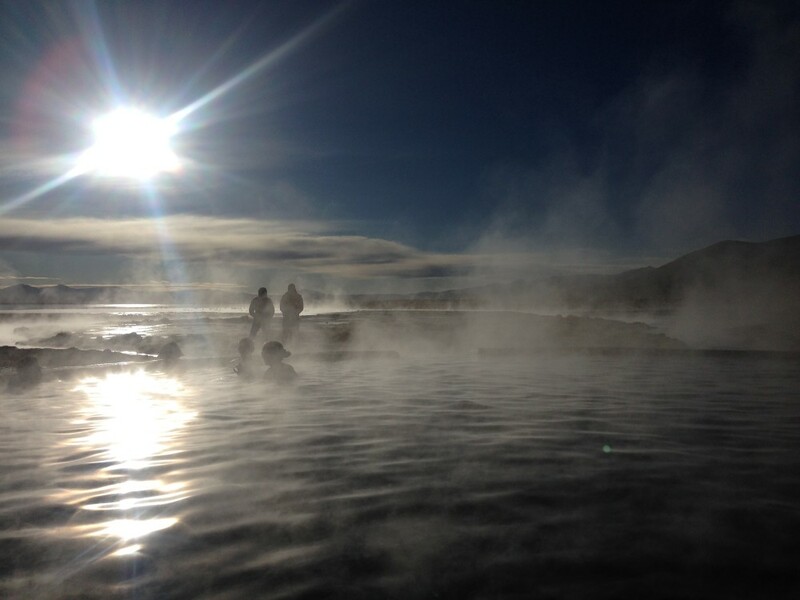 Day 14 - Back to reality After -10 degrees in the night (and no heating in the room), watching the sunrise and the geysers and warming up in the hot springs were a perfect way to start off the day. Unfortunately, these 3 days in paradise ended and here we are in Chile, in the small but nice city San Pedro de Atacama. We say good bye to one of the Fantastic Four, and continue our journey to Lima. 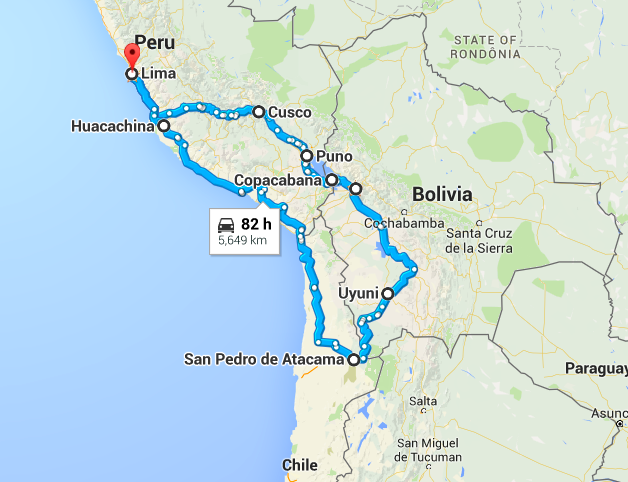 Day 15 - On the road, returning to Lima Nothing too exciting, spent a few hours in Tacna (great food! ), and had the most amazing dinner in Lima. After one week of barely eating anything in Bolivia, I was definitely happy to enjoy some Simina-friendly food!